Please be aware that Standard uploads will be processed within 48-72 hours. Special request uploads will be processed weekly on Thursdays and need to be received by 12:00 PM PT Wednesday to be processed the same week. We will notify you if your upload qualifies as a special request. For Clubs using a provider other than Blue Sombrero for online registration, they will need to manually add players or admins to the Affinity Sports Platform or they may submit an upload through our support center. NOTE: Be sure to confirm you are using the correct template. Please have your Season ID, SID Code, Season Name, Play Level Code, and Team ID available. Remember, no mixing or intermingling of Player and Admin data. Only include Player data on the Player Template. Remember, no mixing or intermingling of League, Club or Season Data. Individual templates must be completed for each club and season. Please do not make any changes to the excel template and follow the instructions. Any modifications or failure to follow formatting instructions can result in an error and the need to redo the Excel Template and begin the upload process again. When saving and uploading your Excel Template to the Upload Module, you must be using Microsoft Excel 2007 or higher and save the file as an XLSX file or CSV file. Do not include apostrophe’s, trailing spaces, or spaces in blank fields. Download and save the appropriate Excel Template from your organization’s online Help Center. This file can also be found at the bottom of this article. Review the instructions for completing the Excel Template. Open the Player Data Excel Template and complete the necessary information. Enter the Season ID. * This code tells the system what season in which you would like to upload the data. Please contact SAY Soccer for the correct Season ID or refer to the following image. For example, the Season ID for the 2019-2020 season is 1325. Enter the SID Code. * This code tells the system what club the Players in which you are uploading belong. The SID Code will be a seven digit number. 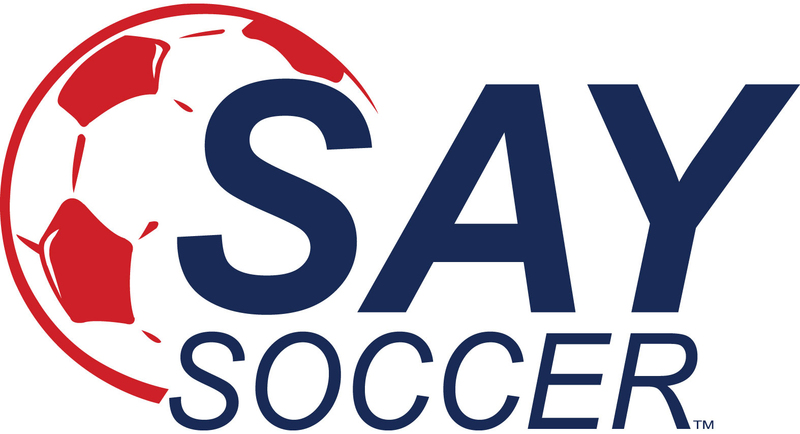 Please contact SAY Soccer for this information at info@saysoccer.org. Enter the Season Name. * This name will be a combination of Letters and Numbers based on the name given to the season in the Affinity System. This tells the system what season to upload the data. This can only be the current or future seasons. You cannot upload data to a past season. *Please contact SAY Soccer for the correct Season ID or refer to the following image. Enter the Player’s Last Name. This field is required. Enter the Player’s First Name. This field is required. Enter the Player’s Middle Initial. This field is optional. Enter the Player’s Suffix. This field is optional. Enter the Player’s Alias. This field is optional. Enter the Player’s Gender. Please enter M for male and F for female or B for boy and G for girl. This field is required. Enter the Player’s Birthdate (m/dd/yyyy). Birthdate must be a valid date and be formatted correctly (m/dd/yyyy). This field is required. If the month is a single digit (i.e. May = 5). Enter as 5 not 05. Enter the Player’s Play Level Code*. This allows us to know the play level associated with that Player. The Play Level Code will be a letter or number depending on how your organization is configured. *Please contact SAY Soccer for the correct Play Level Code. This field is required. Enter the Player’s home address, city, state and zip code. These fields are required. NOTE: Address must be a unique address and actual player address. Do not enter the same address for each player or a fictitious address. When entering Zip Code enter as five digits (92101) or the full 10 digits (92101-5005). Incomplete zip codes will result in an error. Enter at least one Parent or Guardian for each player including last name, first name, home phone or cell phone and email address. At least one parent or guardian is required and at least one phone number and email address are required. Enter the Player’s Alternate Player ID. This field allows you to record a Player ID number from a different system. This is not the Affinity Player ID. This field is optional. Enter the Player’s Team ID. * This is the Affinity Team ID. Teams must already be created in the Affinity System. The Team ID can be found by choosing Teams from My Account and viewing the ID number displayed beside the team name. This field is optional. If no Team ID is provided on excel the players will be uploaded but, will not be placed on any teams. Players will need to be rostered individually onto teams. Enter the Player’s Team Name. Teams must already be created in the Affinity System. This field is optional. Enter the Player’s Alternate Team ID. This field is used to sync rosters with third-party applications. This field does not assign players to teams in the Affinity System. An Affinity generated Team ID is also required in your template if using this field. This field is optional. Enter the Player’s current School Name. This field is optional. Once complete, you want to send to Affinity Sports for upload via the Help Center by choosing Submit a Request and attach your file. Please check your work and confirm all information is entered correctly. Confirm your file is saved in Microsoft Excel 2007 or later as an XLSX file or CSV file.